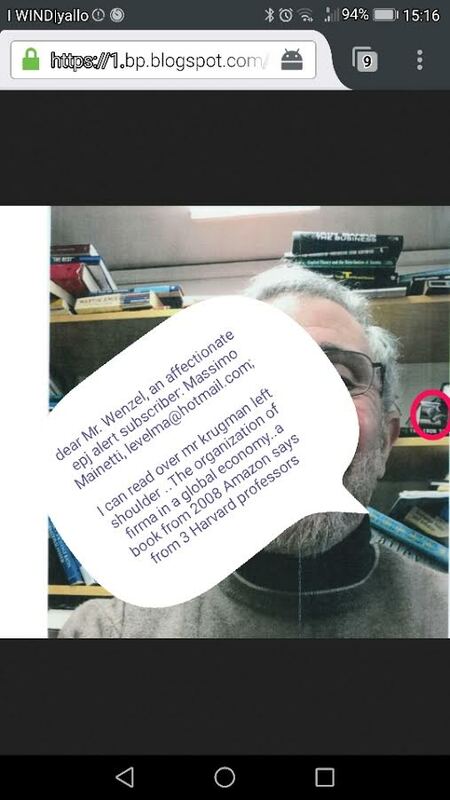 MuckRock informs that in 2014, journalist J.K. Trotter received in response to a FOIL request for correspondence between City University of New York and economist/New York Times columnist Paul Krugman, regarding an upcoming gig at their Income Inequality Institute. It is the request that broke the story that Krugman was to be paid a $225,000 salary at CUNY as a professor there. The books might be in alphabetical order. On the left on one shelf (circled) it appears that there is a copy of the 1964 book, The Economics of Soviet Planning by Abram Bergson. On the right there appears to be a copy of the Sidney Blumenthal book, The Clinton Wars. But the collection strikes me as a particularly unimpressive collection, placed in a very sloppy manner. 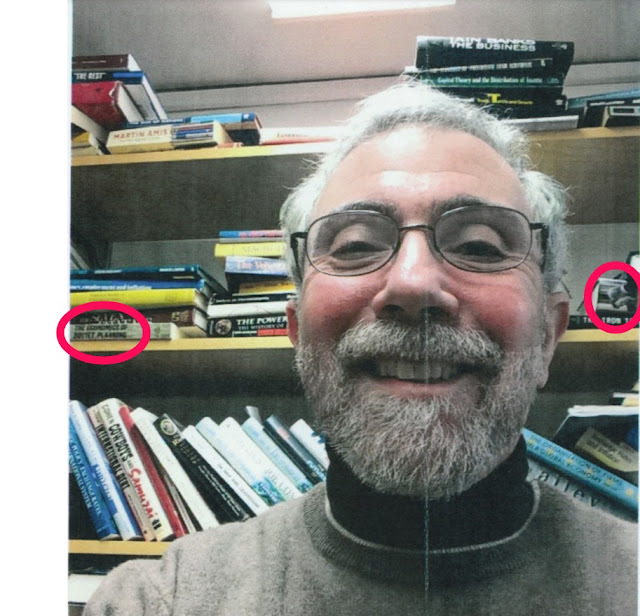 Could this really have been taken inside Krugman's old Princeton office? If you can identify any other books in the mix, please let me know. There are more pics here. Cowboys and Samurai: why the United States is losing the Industrial Battle and Why it Matters.